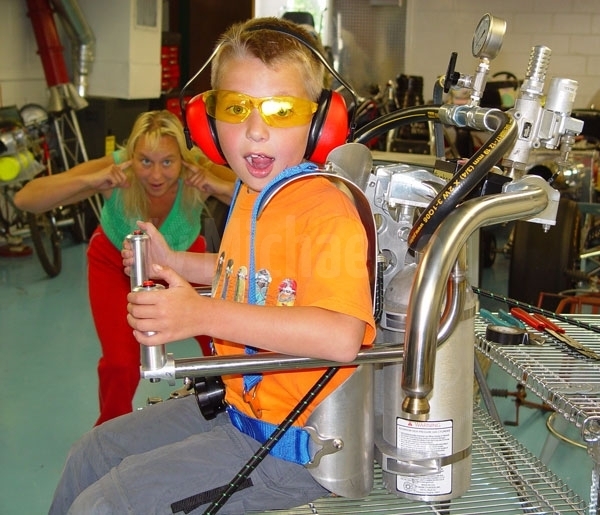 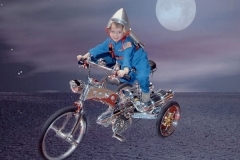 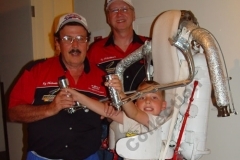 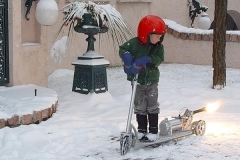 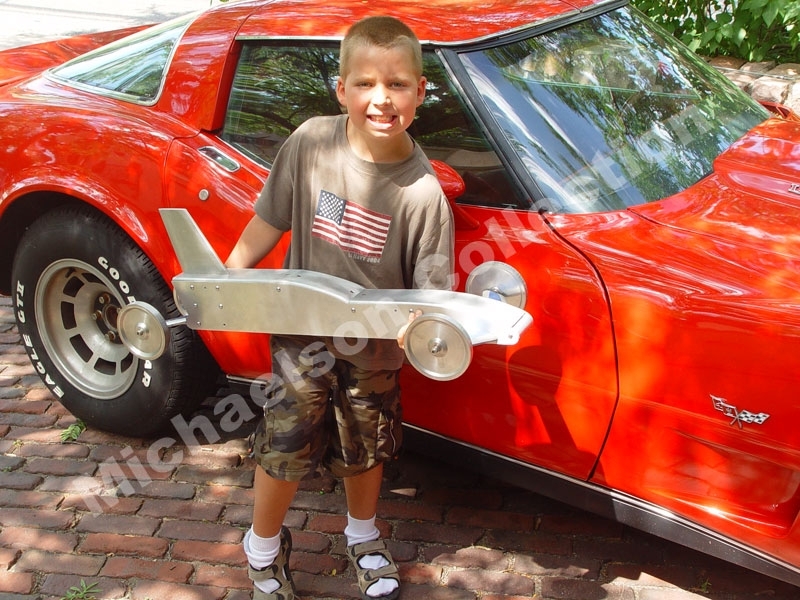 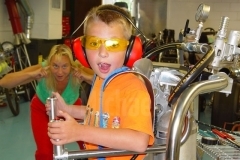 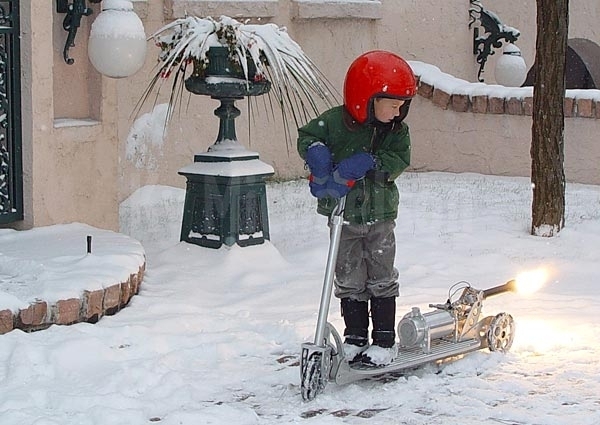 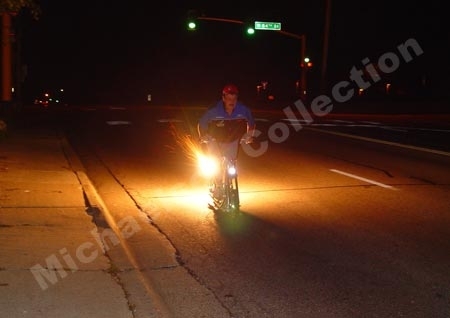 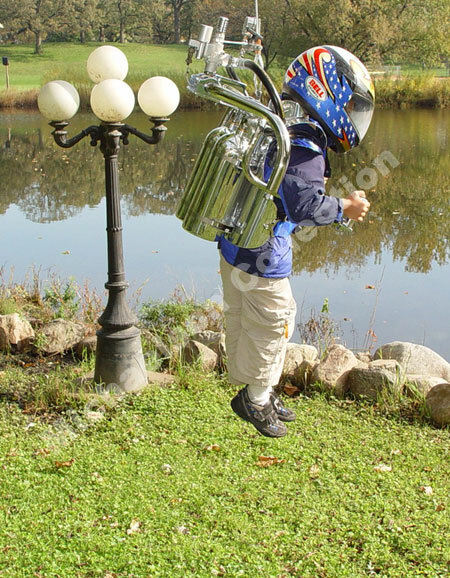 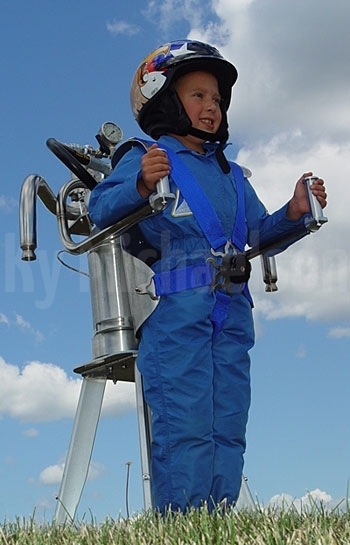 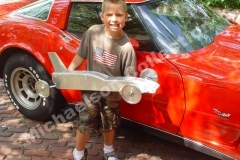 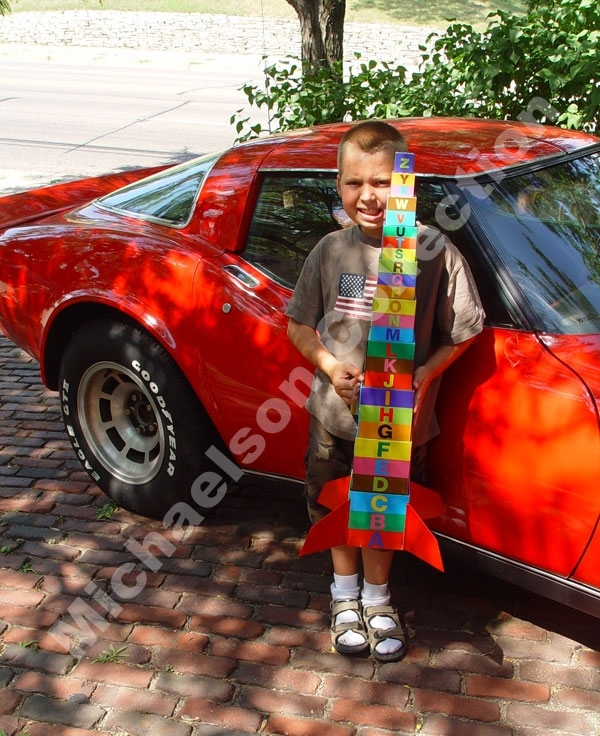 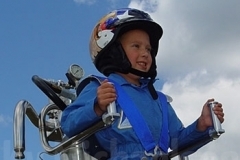 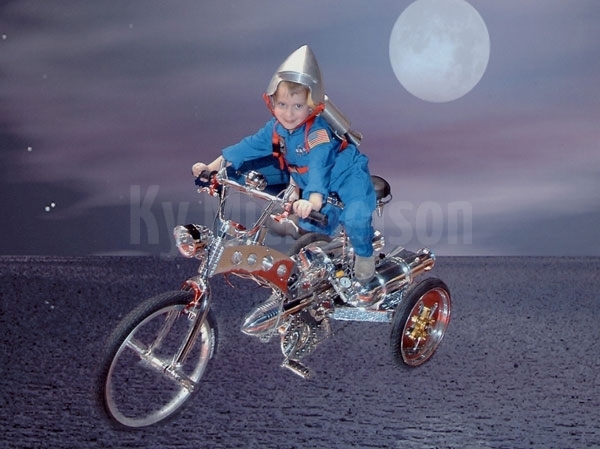 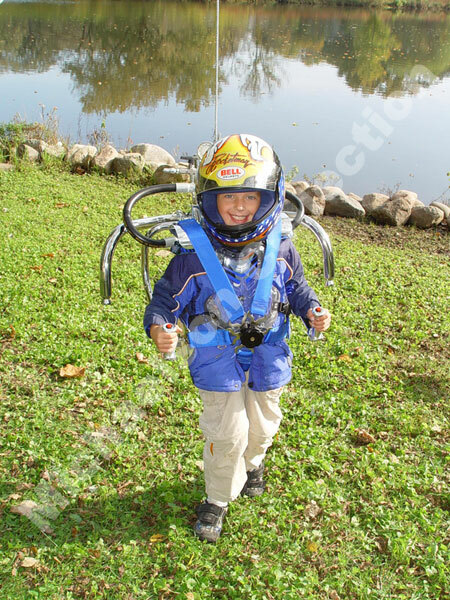 Buddy Rocketman Michaelson is the youngest person in the world to operate a Rocket Powered vehicle. 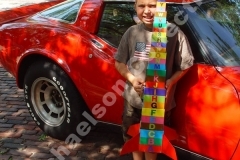 Keep your eye on this site, Buddy will soon unveil his most spectacular rocket powered vehicle that will put him in the record books again. 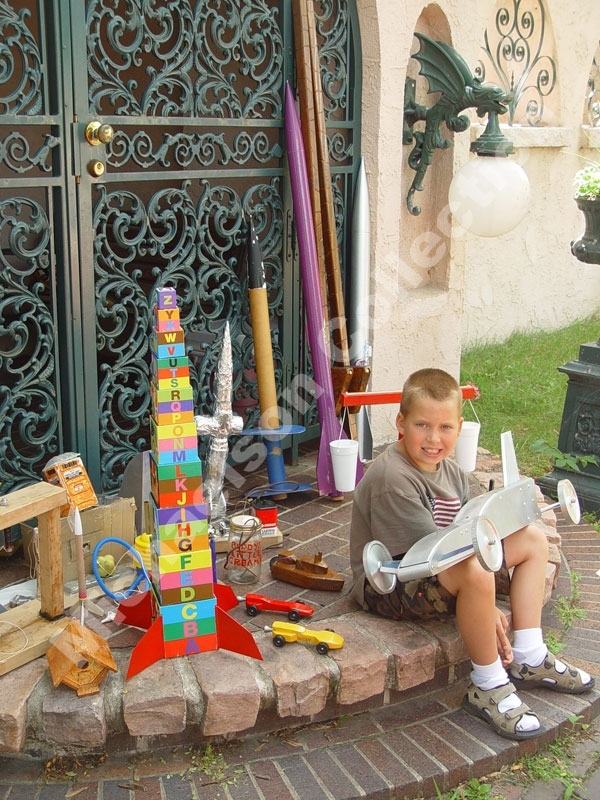 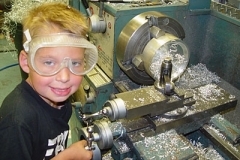 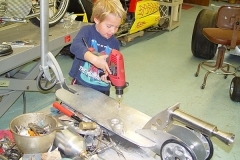 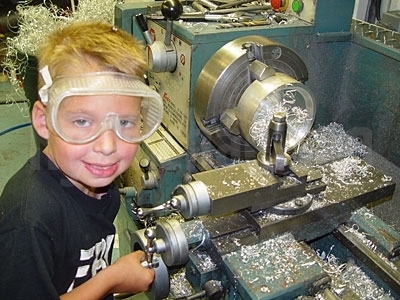 Buddy is constantly working out in his Dads shop building rockets and other contraptions. 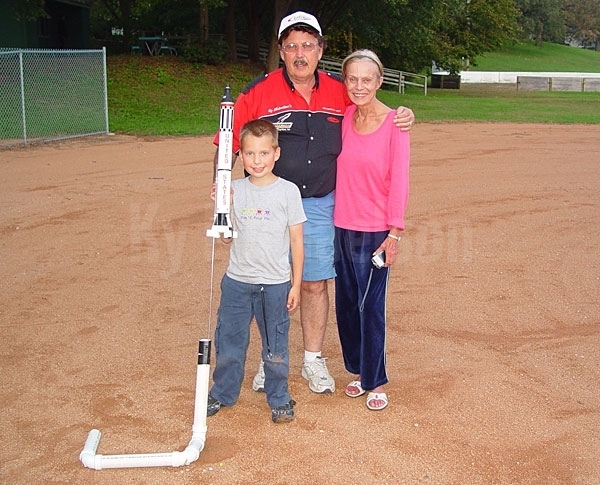 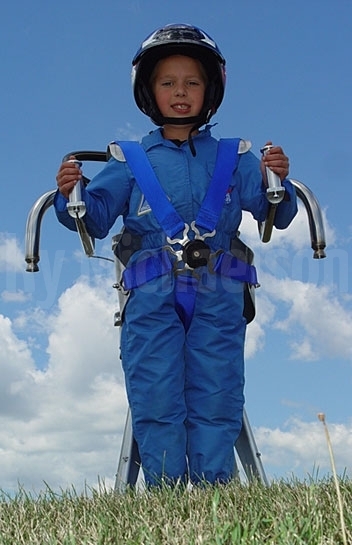 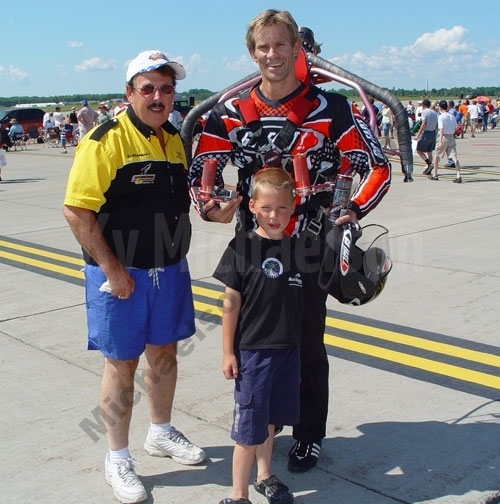 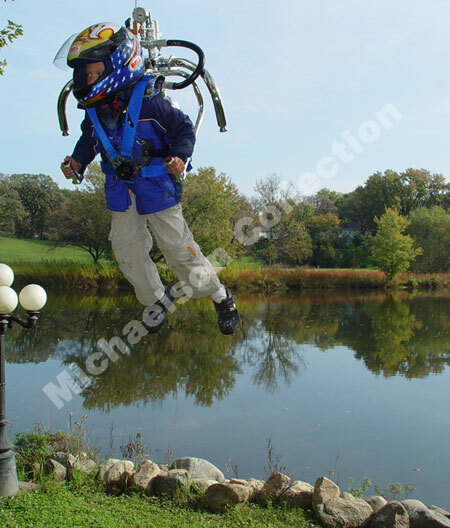 October 13, 2007 History was made when Buddy Michaelson was lifted off the ground using a rocket belt built by his father Ky Michaelson. 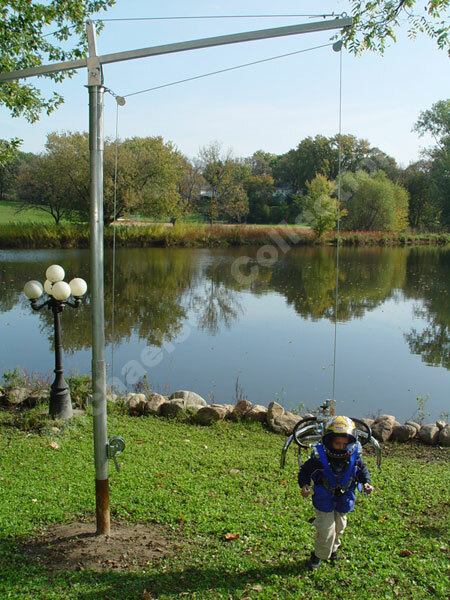 This flight, for safety reasons, was made using a tether. 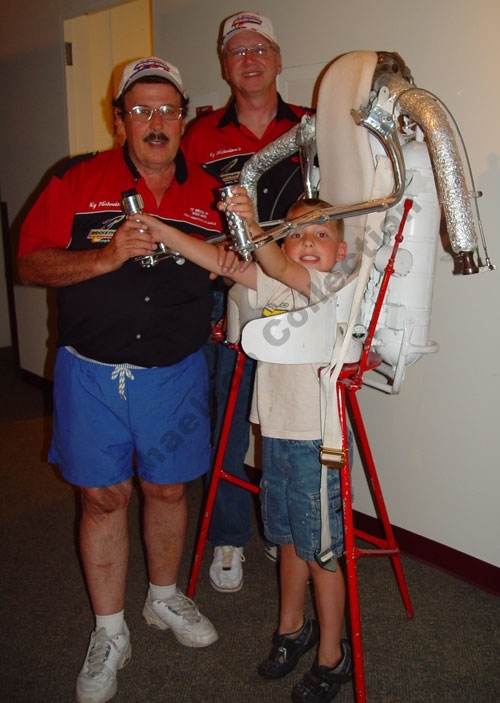 Buddy’s rocket belt used high pressure nitrogen and Co2 as a propellant. 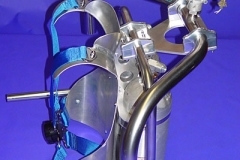 The majority of the rocket belt was made out of aluminum including the high pressure tanks. 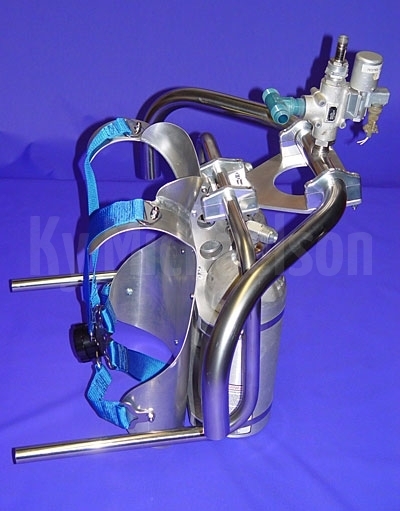 The high flow solenoid valve that controlled the flight, came off of a surplus NASA rocket. 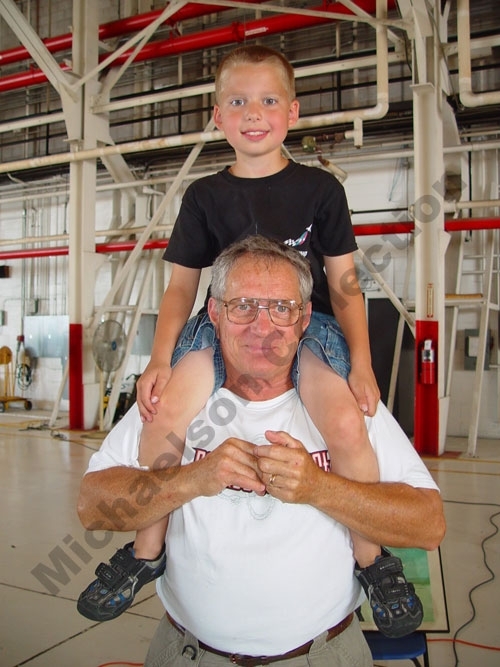 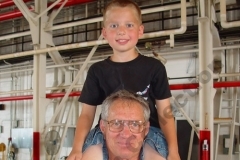 Right before the flight, Buddy’s Dad told Buddy to push the solenoid button and pretend he was going on a elevator ride, and he soon would be on second floor. 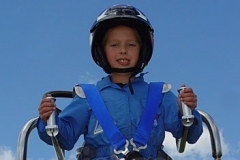 On the first test session Buddy made four flights. After the last test flight Buddy was smiling from ear to ear. 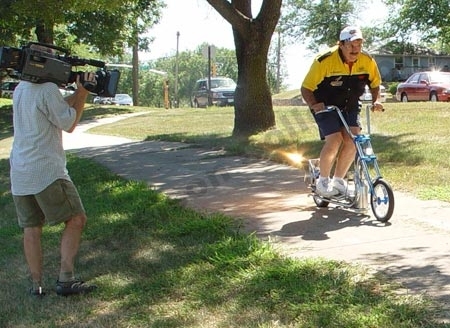 Buddy is no newcomer to rocket powered vehicles. 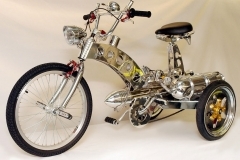 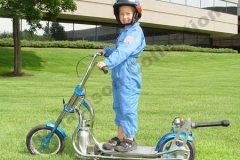 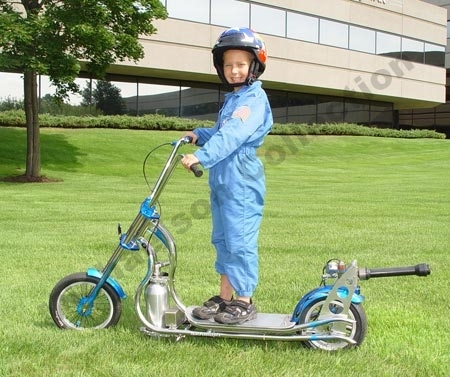 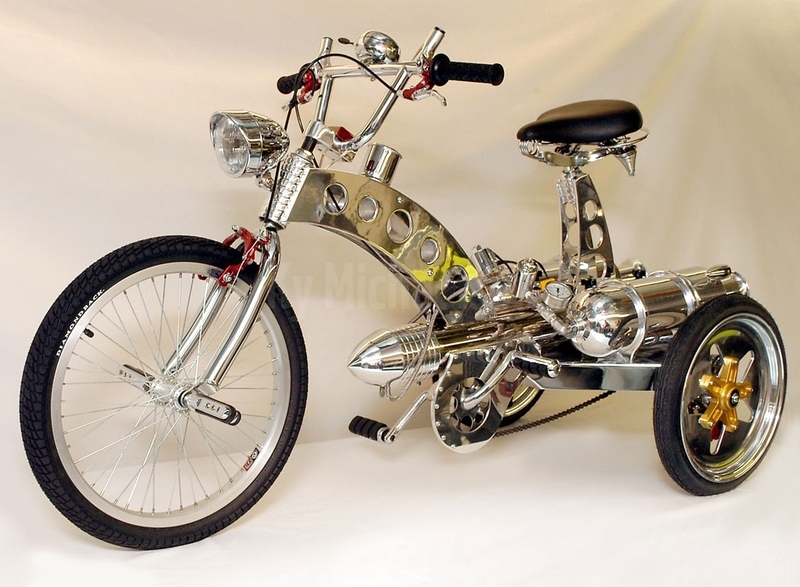 Buddy also has a rocket powered trike and a rocket powered Scooter. 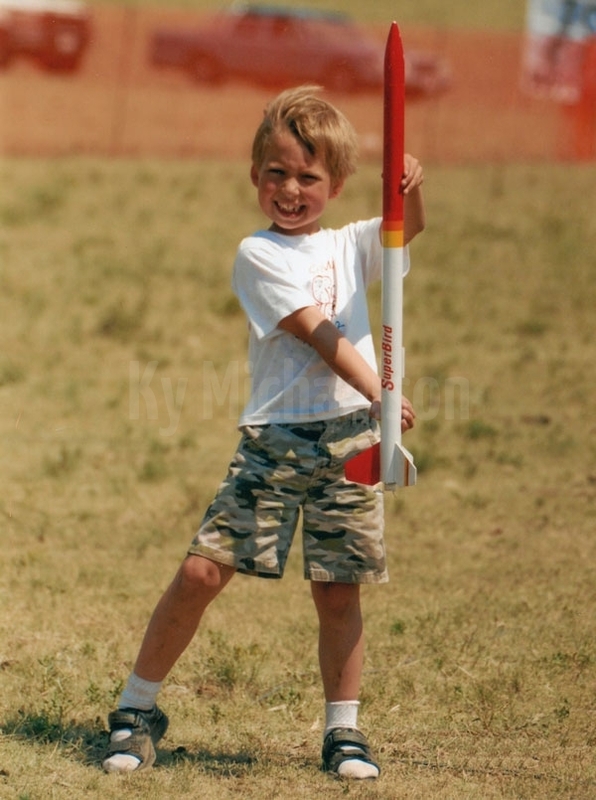 Since the age of 5, Buddy has built a number of home made rockets, that he has flown. 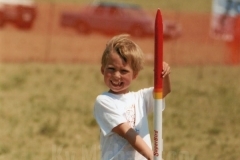 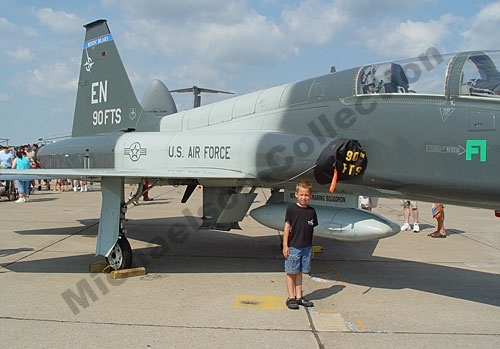 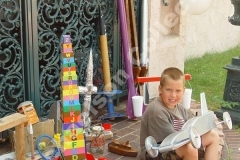 At the age of six Buddy flew one of his rockets at a Tripoli Rocketry national event in Texas.